We are super excited to be working with a wonderful group of bloggers to bring you this AWESEOME Holiday Giveaway Spectacular!We have a total prize value of $1,600.00 up for grabs! Enter today and Good Luck! Feel free to share this giveaway with your friends and family members! 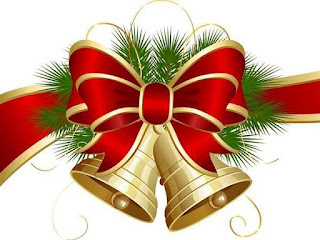 Holiday Contest and Sweeps is honored to bring you the 4th Annual Holiday Giveaway Spectacular Week One of Three Weeks of Great Giveaways with the help of a great group of terrific fellow blogs. This week is a combined group of amazing sponsors have come together to make this Holiday Giveaway possible for all of you. One lucky winner whom resides in the Continental United States and is eighteen plus years of age will win this great prize package. Entering is simply, just complete the entries on the rafflecopter entry form for your chance to win. Let's wait no longer , here are the prizes being offered in this weeks giveaway. 7pc. Pro Series Ergonomic Knife Block Set Like most unique companies, Ergo Chef was founded serendipitously. 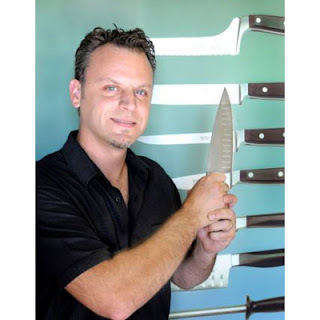 Scott Staib wasn’t supposed to make knives; he was supposed to be a chef. After his training at Johnson & Wales University, Scott set out to rise through the culinary ranks. His first stop was an ultra-swanky country club where he proved his mettle as the sauté and grill chef. Next was his gig as sous chef for Aramark Food Service Corporation. 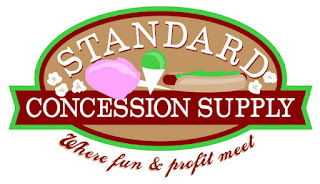 He was on the fast track in foodservice when he was sidelined by tendonitis and carpal tunnel syndrome—a result of the repetitive motion injuries caused by frequent chopping and slicing. Without a fully-functioning wrist, Staib could not cook his dinner, let alone advance his career. 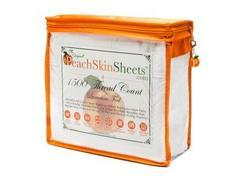 PeachSkinSheets.com are the most comfortable sheets you will ever use in your life. The Original PeachSkinSheets.com are GREAT for hot sleepers! Breathable, ultra soft, anti-pill and anti-snag bed sheets featuring thermal control and moisture management properties...warm sleepers stay cool, and cool sleepers stay cozy. The durable athletic grade performance SMART fabric wicks away moisture to keep you drier and more comfortable. Best of all, they have a luxurious 1500 Thread Count softness with a brushed PeachSkin finish on both sides. Available in Split King, Cali King, King, Queen, Full, Twin and XL Dorm Twin and XL Dorm Full. Their sheets have wrinkle release that is activated in the dryer on medium to medium/high heat (temperature depends on your dryer) in about 20 minutes after washing. They offer their customers a color of the month to keep current with changing colors. Click here to view them. PeachSkinSheets.com also offer their customers a chance to get a sample of the color of their sheets to make sure it is the one they truly are looking for. Wait no longer so order your free Swatch by clicking the link below. The Enchantails Slumber Bag Set is going to be the hit of every little girls Christmas List to Santa Claus. 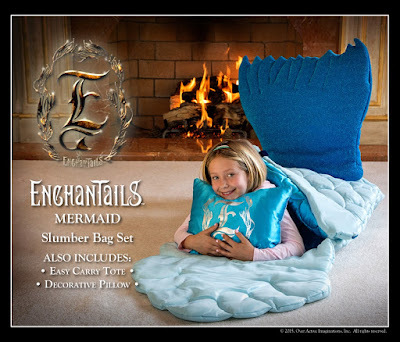 Imagine the joy they will have at their slumber parties with their Mermaid Slumber Bag Set. Not onlywill they be joyed by their Slumber Bags, but the Mermaid Books and Decals that are availabloe as well. 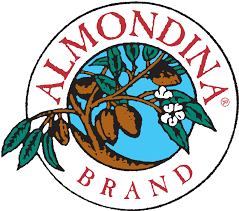 Click on the link below and view all the great selections that are available. 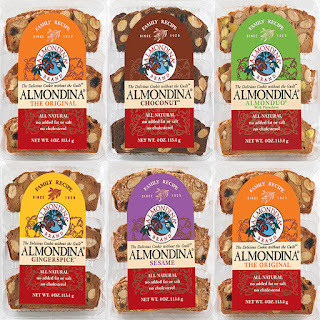 Almondina Biscuits are a delight for any occasion. Made for a old family recipe, it thrives today as a delight you all must try. Click on the review below for more information and a chance to gain a extra point in the giveaway. Alert Works® is a leading manufacturer of safety devices that ALERT you to impending danger. We design and produce high quality safety products with the purpose of protecting your family and home, as well as your peace of mind. With S.A.M.E. Localized Programmability, NOAA and Public Alert Certified The EAR-10 Emergency Alert Radio with Weather allows the user to program the radio so that it only alerts for the desired warnings in the selected county. Warnings come immediately and directly from the source of all severe weather warnings at your local National Weather Service office. The Emergency Alert Radio will alert you of threatening and civil emergencies and weather emergencies. The information comes directly and immediately from the source of the warning at your local National Weather Service office. Information can be tailored that you receive only the warnings that are important to you and your family. Unlike most "instant-read" thermometers on the market using thermistor sensors, the Precision Elite utilizes an proprietary thermocouple sensor. Thermistors often take 20-30 seconds to get a reading at a lower rate of accuracy. The added speed of a thermocouple translates into better ability to cook and serve your food at the perfect temperature, while avoiding potential burns over a hot stove or grill. With a temperature range from -40F to 572F there isn't a task this unit can't handle in your home! 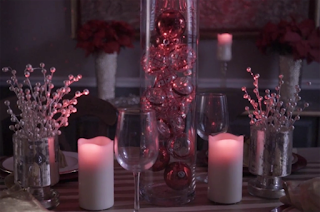 The Night Stars Laser Candle is a unique and stylish candle equipped with a red laser and flickering LED light. Our Night Stars Candle is battery-operated, meaning you can take it anywhere. Calming, approachable, seductive, and sublime. Laser and LED modes will enhance the surrounding area with just the flip of a switch. Flickering like a real wick, the pillar glimmers like a natural candle. 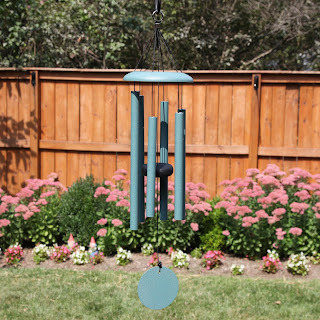 Enjoy the amazing sounds of a Corinthian Bells® windchime in a compact size that fits any budget. Our smallest size, the two-pound T106 is great as an accent piece or for adding charm to your decor without using much space. Corinthian Bells Windchimes tones gives you a sense of relaxation from the beautiful tones they produce. 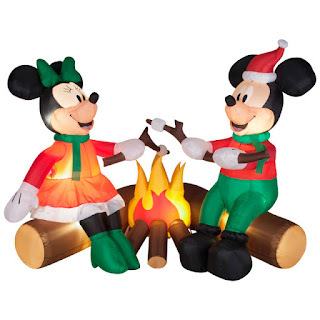 They are great when placed in your backyard, deck, garden or any place you wish. Click here to visit the QMT Website to view a great collection of chimes in various tones and sizes. I would like to thank each of our amazing sponsor for making the Holiday Giveaway Possible. and make sure you show your appreciation to them by liking, following and subscribing to them on the entry form. Holiday Contest and Sweeps received samples of the above products for review purposes, no other compensation was received. All the various sponsors will be responsible for awarding and shipping the prizes directly to the winner.